From the Liner Notes: Soon after releasing my first piano album (Glimpses of the Spirit, 2000), a young mother approached me and shared how her daughter had been struggling with anxiety. They had been to the doctor and considered medication, but they really didn’t want to go down that path. She then told me that her daughter loved the CD and had been listening to it every night at bedtime. They found that it consoled her and enabled her to fall asleep without any anxiety. Ten years later I had the occasion to pass along a copy to a parent while teaching, and a very similar story emerged! These are just two of the countless stories I have heard over the years about how God is using this music in such beautifully powerful ways. This collection is a continuation of that journey….Prayer is speaking to God, as your closest, most faithful friend. It is not necessarily a planned conversation. It is improvised. A spontaneous dance. As thoughts permeate your mind, through the power of the Holy Spirit, you have the opportunity to engage with the Creator of the universe! Incredible. Improvisation, in musical terms, is a spontaneous creation of original music within a given structure. It’s not just playing notes at random, although some might say this is improvisation. A foundation is provided (although this can be improvised, too) and music is created on the spot based on that foundation. The structure may be a chord or pattern of chords, a thematic or rhythmic idea, or simply a particular key or musical texture. 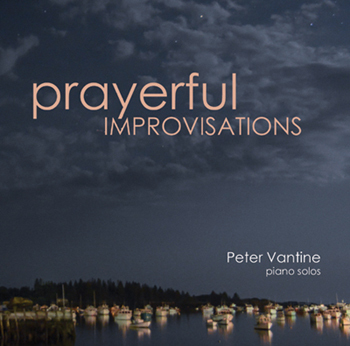 Prayerful Improvisations seeks to merge these two ideas into one musical worship experience.